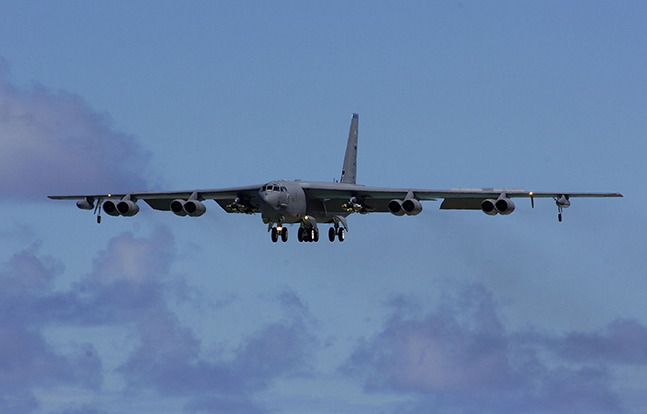 U.S. Air Force's B-52 fleet has begun using Combat Network Communications Technology (CONECT). The U.S. Air Force has introduced the first aircraft in its B-52 fleet with Combat Network Communications Technology (CONECT), a communications upgrade that will keep the long-running fleet ahead of potential threats in the air. The CONECT modification adds to the B-52 several communication data links, full-color LCD displays with real-time intelligence feeds overlaid on moving maps, a state-of-the-art computing network, and the ability to retarget a weapon, or mission parameters, in flight. The Air Force anticipates modernizing its entire B-52 fleet with the innovative CONECT capability.